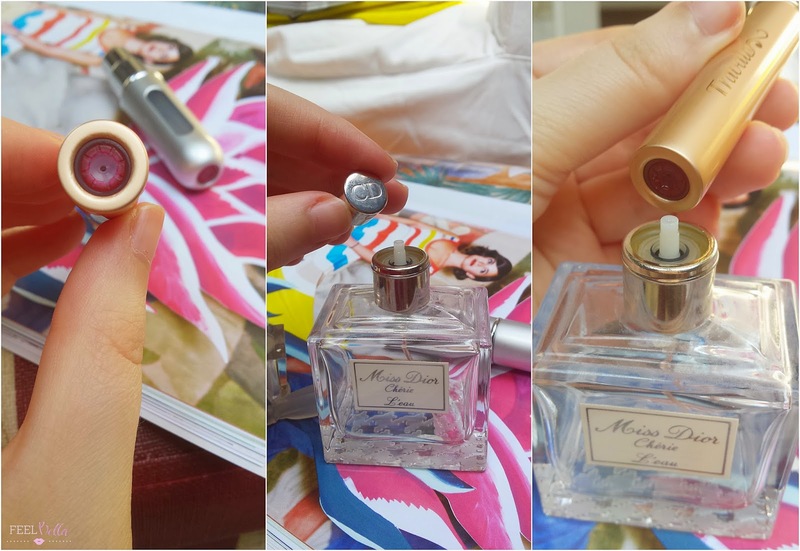 This refillable perfume bottle is a great option to safely carry your favourite fragrance with you in your bag. You can fill it with any perfume and is also perfect for travelling. I really like the design, it's is small, compact and the packaging is so sleek and elegant. I love how easy it is to transfer the perfume into the Travalo; just remove the top of your perfume sprayer and align the bottom of the atomizer properly (with the tube into the base of the atomizer) with the scent dispenser straw, then pump to fill the Travalo. It's quick, easy and mess-free. It has a clear slit indicator, so you never over fill it and you can see how much fragrance there's left. 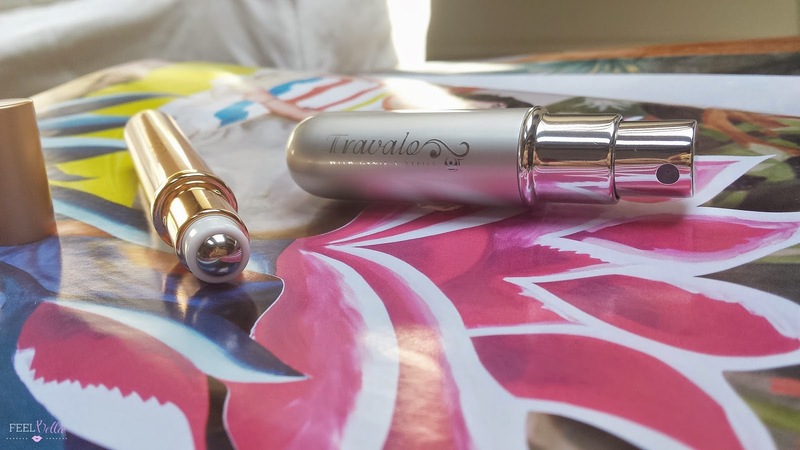 The two models above in the picture are the Travalo Classic Refillable Spray* in Silver 4 ml and the Travalo Refillable Rollerball* in Gold 4.5ml. I'm really enjoying using the rollerball one which I much prefer to the classic Travalo, also in this gold colour, how pretty this looks?. 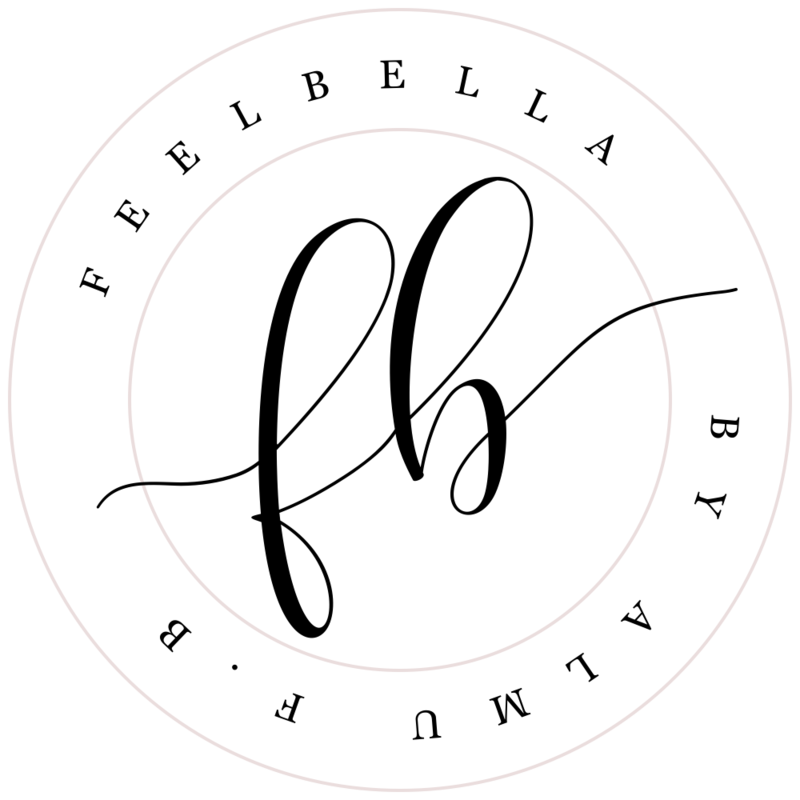 The pen sized rollerball version is perfect for applying exactly where and how much perfume I want to apply, this mechanism works better for me and also prevents waste. This is an excellent travel or everyday accessory. It is practical, small and effective. And it comes in so many pretty colours! Check the Travalo website for more info. 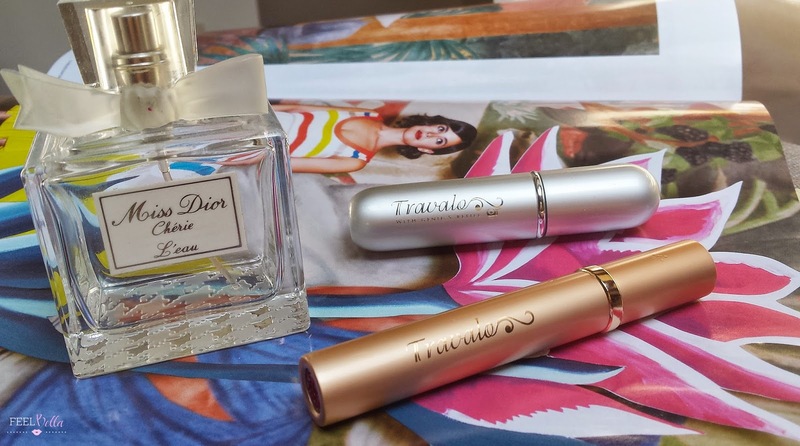 2 comments on "THE MUST HAVE TRAVEL ACCESSORY: TRAVALO REFILLABLE SPRAY & ROLLERBALL"